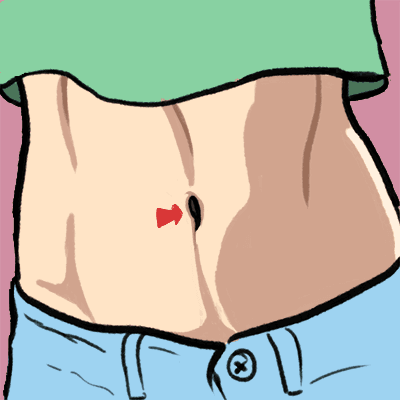 Home » »Unlabelled » What does the shape of your belly button say about you? Your personality is associated with the shape of your belly button. Surprised, right? Here's how. Omphalomancy is the study of navel shapes and is used to predict one's personality, based on the shape of your navel. While it may sound a bit silly, the fact is that the shape, color, protuberance etc. of the belly button reveals a lot about your health, your body and as a result of this, your personality. Here, we have different belly buttons and we reveal what they say about you as a person. 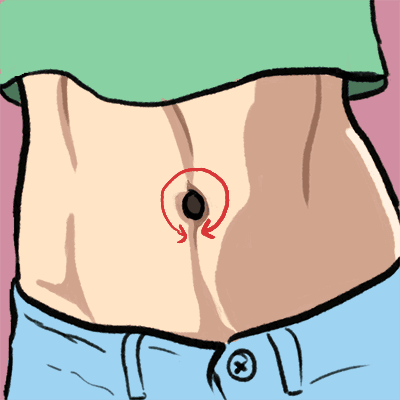 A round, deep belly button is indicative of an optimistic personality. If you have round belly button then you are the sort of person who would look at a dark cloud and point at the silver line. You are the kind of person who would get hurt and come out smiling because you learned something from it. The fact is that you are good at communicating your thoughts and that makes all your relations healthy and interactive. Plus, your optimism rubs off on people and who don't like being around someone who could make them see hope. Luck is something you may not possess in abundance, but you compensate for it with your happy-go-lucky nature. The big and deep belly button is a sign of a generous personality. If you have this belly button then you are the sort of person whose magnanimity knows no bounds. You are the sort of person who may suffer personally but never let it affect the ones close to you. You excel in man management as you are good with people and with age, you would grow much wiser due to the varied experiences you would have in life. The one problem that would emerge is that you may start doubting the need to be selfless in the selfish world, but once you move past that you'd realize that the only person who you should be is the one who you are.